The North Vancouver Recreation & Culture Commission is dedicated to preserving and expanding the City and District of North Vancouver’s celebrated public art collection. The Public Art Program is guided by municipally endorsed policies and procedures that cover all aspects of the process from site identification and artist selection, through to artwork installation and ongoing maintenance. The North Vancouver Public Art Advisory Committee (NVPAAC) is an expert voluntary body of nine members chosen for their background, knowledge and expertise in the area of public art, architecture, art, urban design, art history or residential development. This bi-municipal committee, serving both the District and the City of North Vancouver, reviews and advises on public art matters pertaining to the municipally administered civic, community and developer-generated public art programs. An Artist Selection Panel is established for each public art project. The role of the panel is to review the submissions generated through the Call to Artists and select an artist for the project. Each selection panel is comprised of various community representatives including a: local resident, local professional artist, design professional, member of the North Vancouver Public Art Advisory Committee, and the City Project Manager. The selection process is facilitated by the Public Art Officer and other relevant City staff who may attend in an advisory capacity. North Vancouver is comprised of two separate municipalities - the City of North Vancouver and the District of North Vancouver each with their own Public Art Policy and planning documents. These policies articulate the vision, mission, principles, benefits and goals of the Public Art Program and outline a set of procedures for implementation. 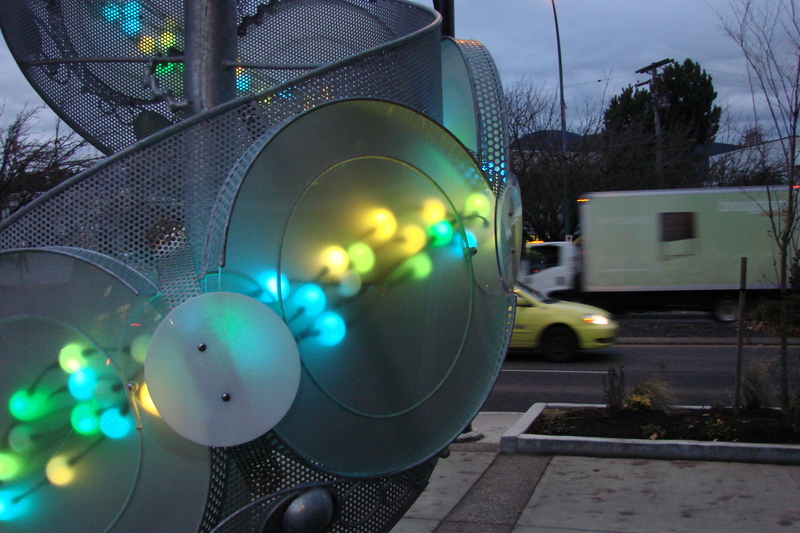 Both the City and the District recognize that public art is an important vehicle for enhancing the public realm and fostering a unique sense of community.